Star DG Home is a multi-brand house that specializes in products and solutions for power generator and power management. Generator available on rent from 7.5 KVA to 2000kva. We are into rent, purchase of old & new generators. Servicing of generator is also done. Caterpillar Cummins, kirloskar, Volvo penta, , Mahindra, Jackson, Ashok leyland. Spare parts are also available here. Scrap purchase. Star DG home is very old in this field. We are having a team of experts for fulfilling your generator requirement. 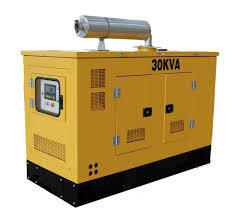 Call on or e mail us at We are providing the following services: Generator On Hire , AC Generator , DG Set , Diesel Generator , Industrial Diesel Generator , Mobile Generator , Portable Generator , Power Generator , Silent Generator , Track Mounted Generator , Generator Rental Services , Van Generator , Acoustic Generator , Customer Satisfaction , excavator on rent , grader on rent , soil compactor on rent , tandem compactor on rent.